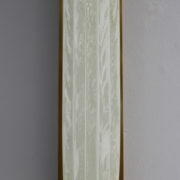 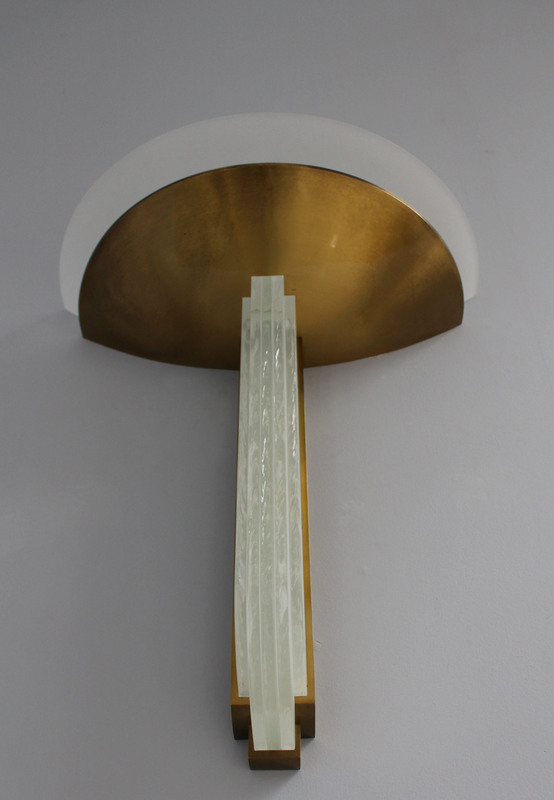 With some vertical diamond cut glass slabs outlined by a bronze mount, a bronze bowl and a glass bowl diffuser. 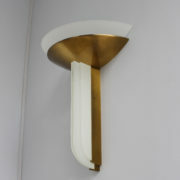 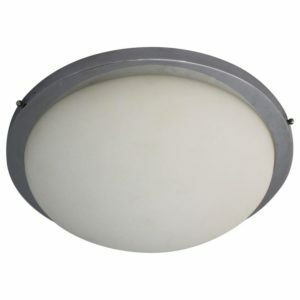 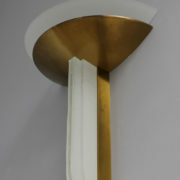 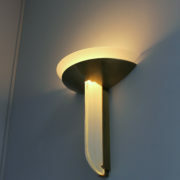 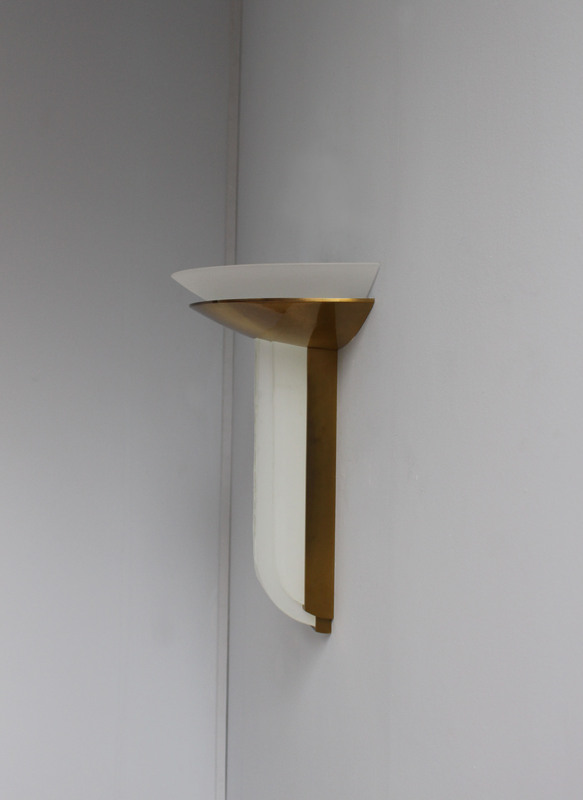 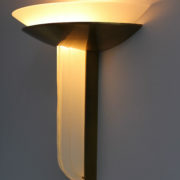 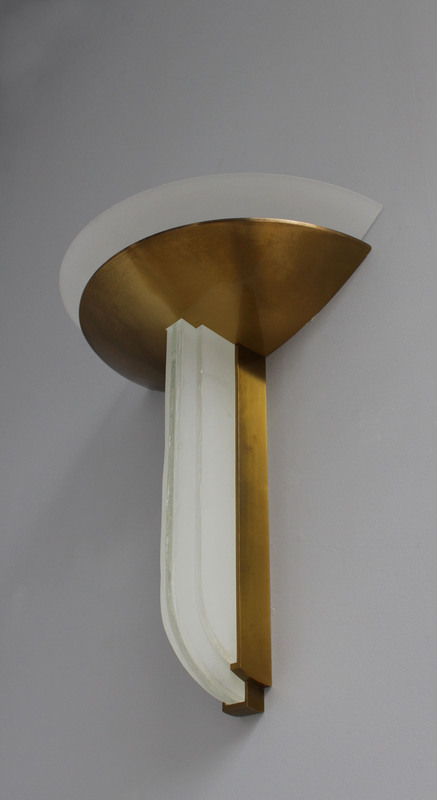 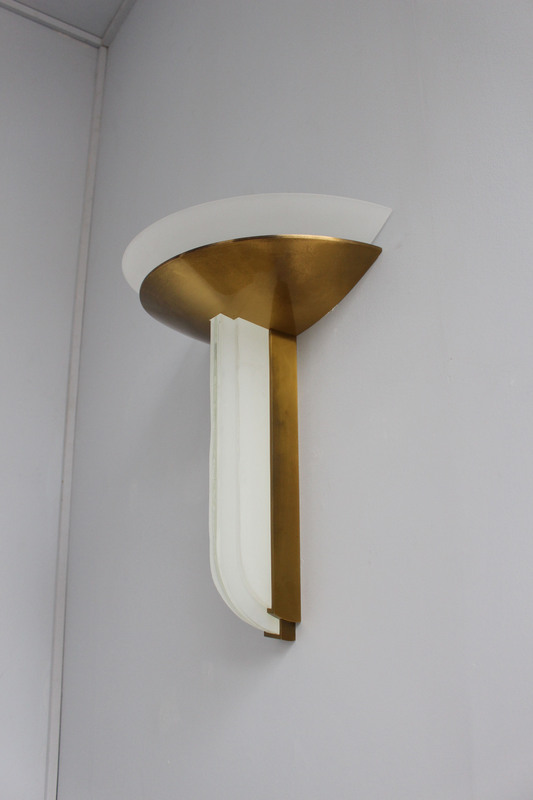 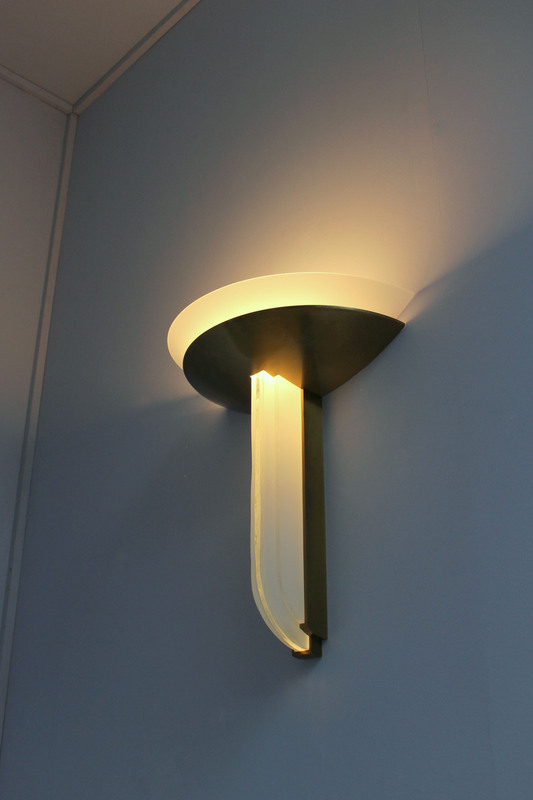 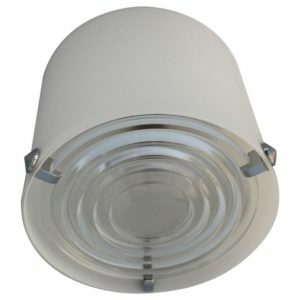 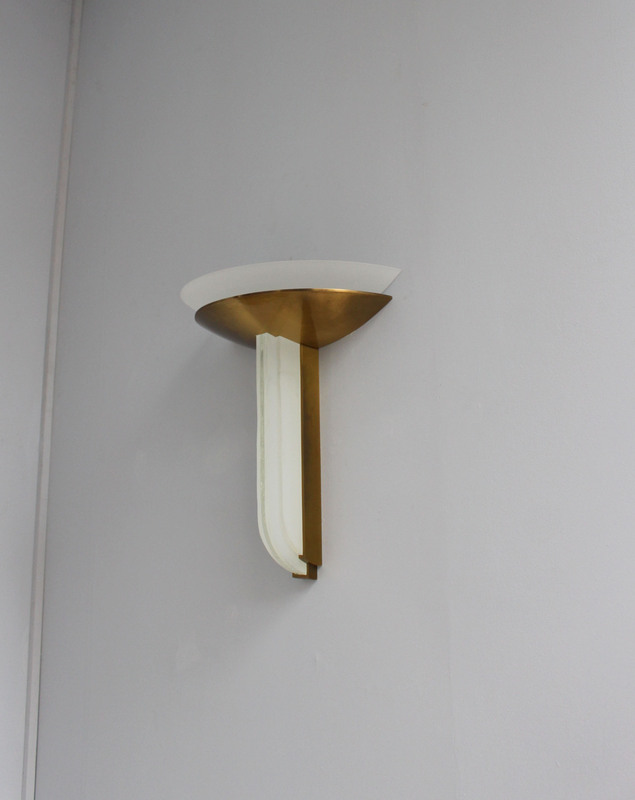 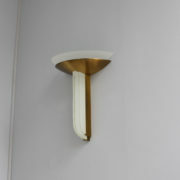 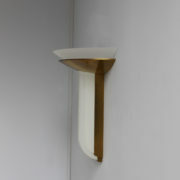 This wall light adorned the grand luxury cabin on the cruise liner “Normandie”. 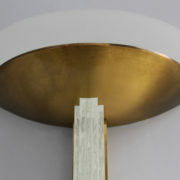 Good minor fading on bronze. 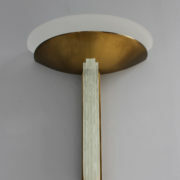 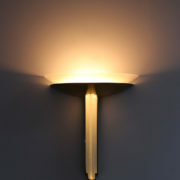 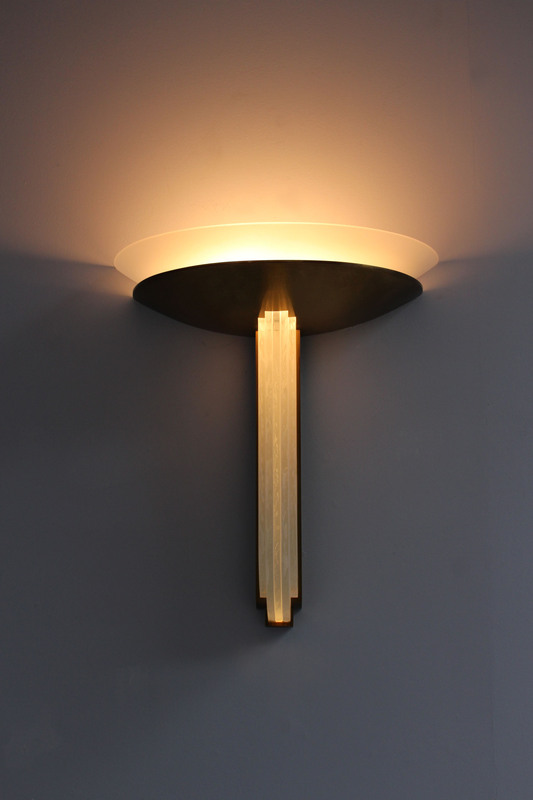 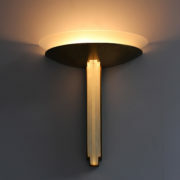 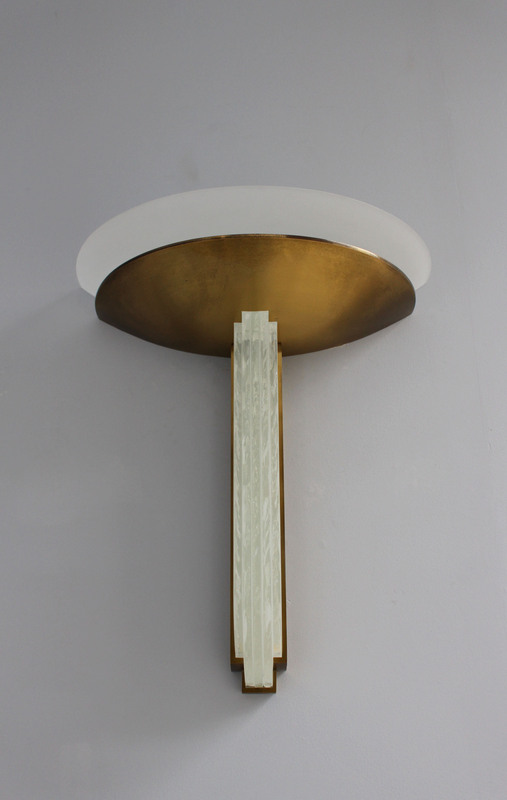 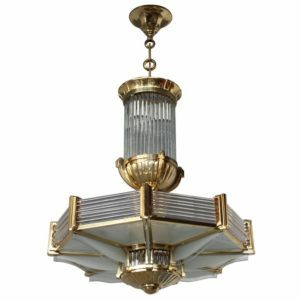 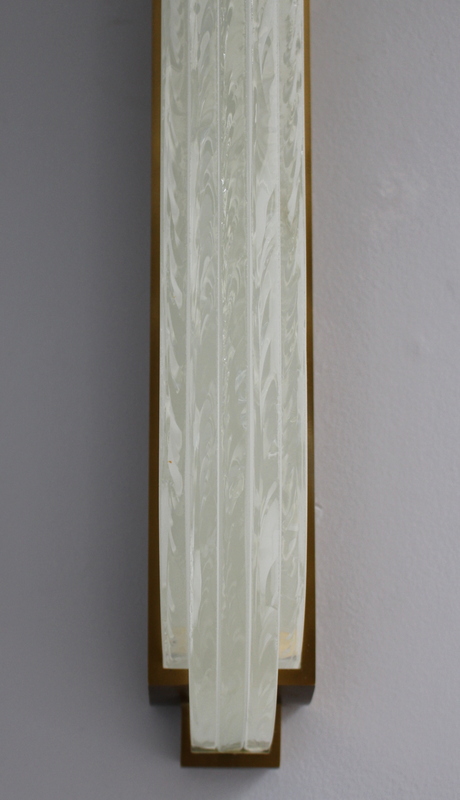 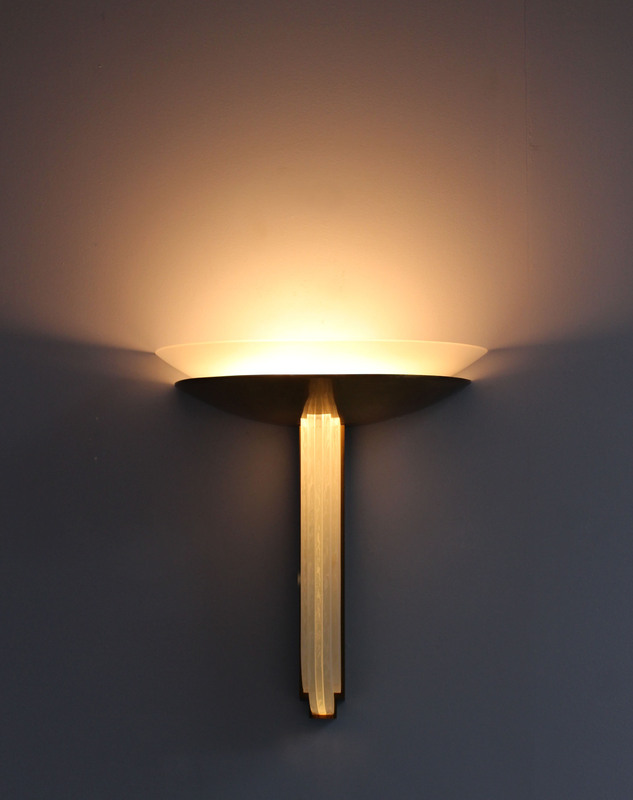 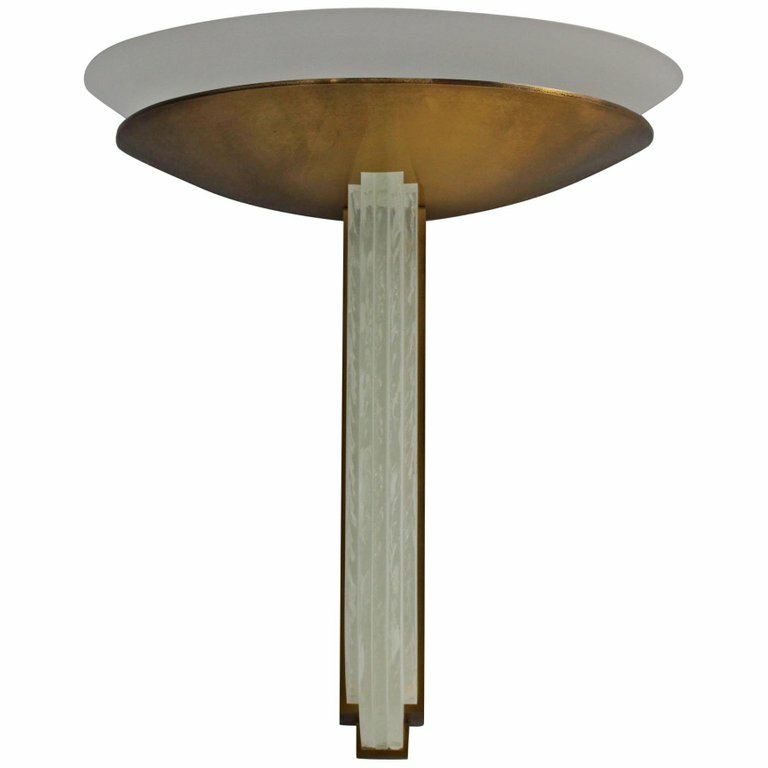 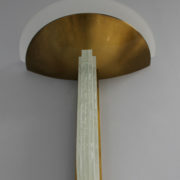 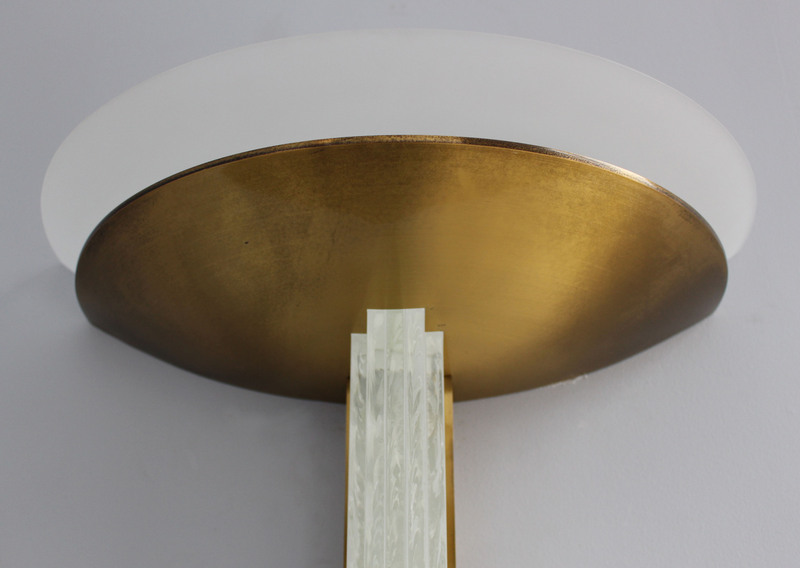 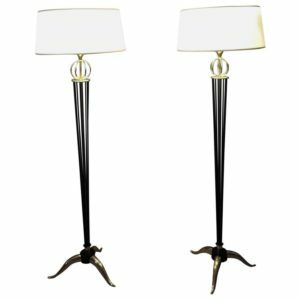 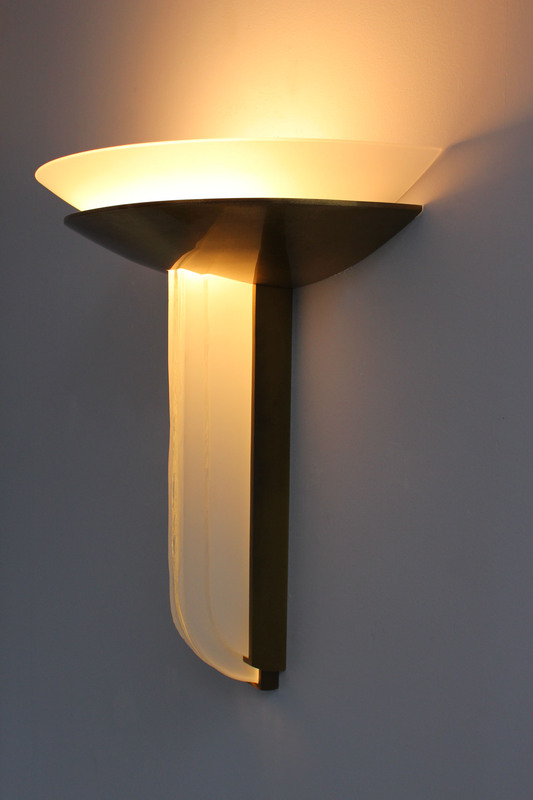 Soyez le premier à laisser votre avis sur “A Fine Large French Art Deco Bronze and Glass Wall Light by Perzel” Annuler la réponse.